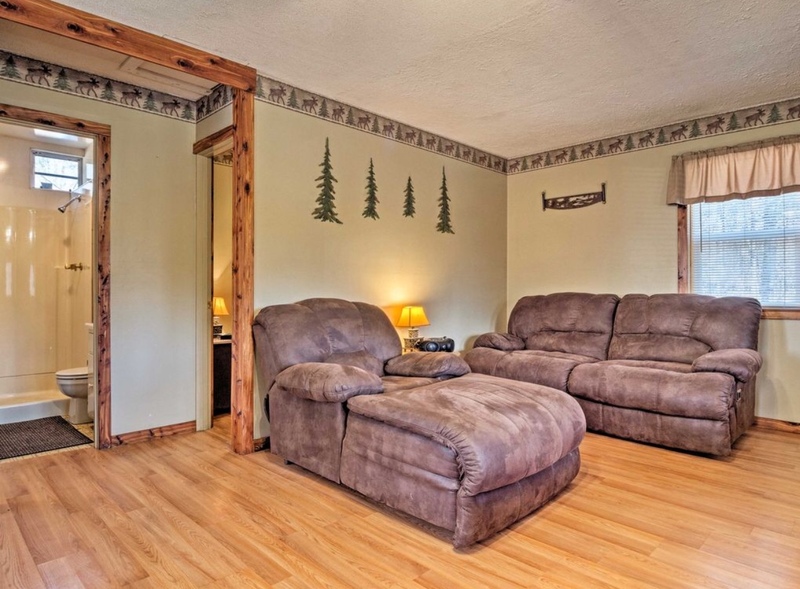 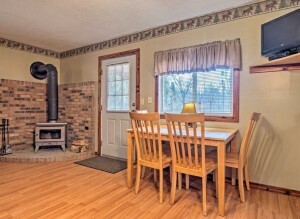 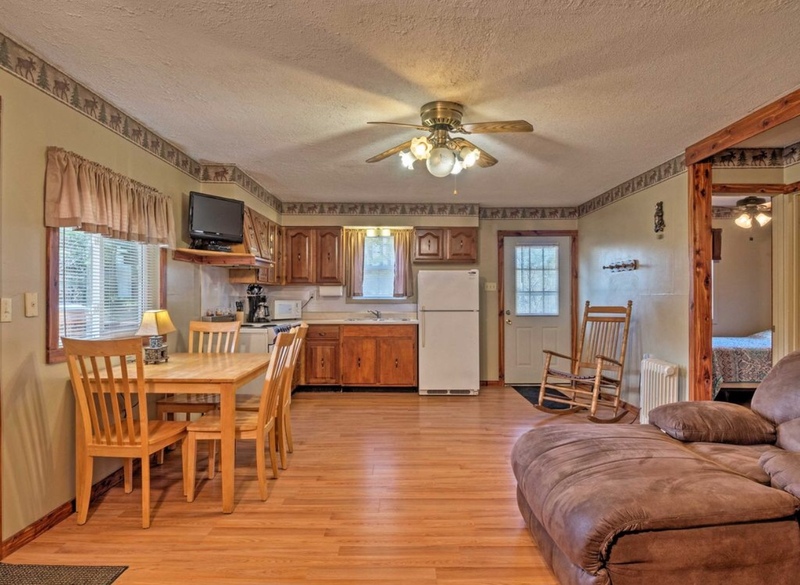 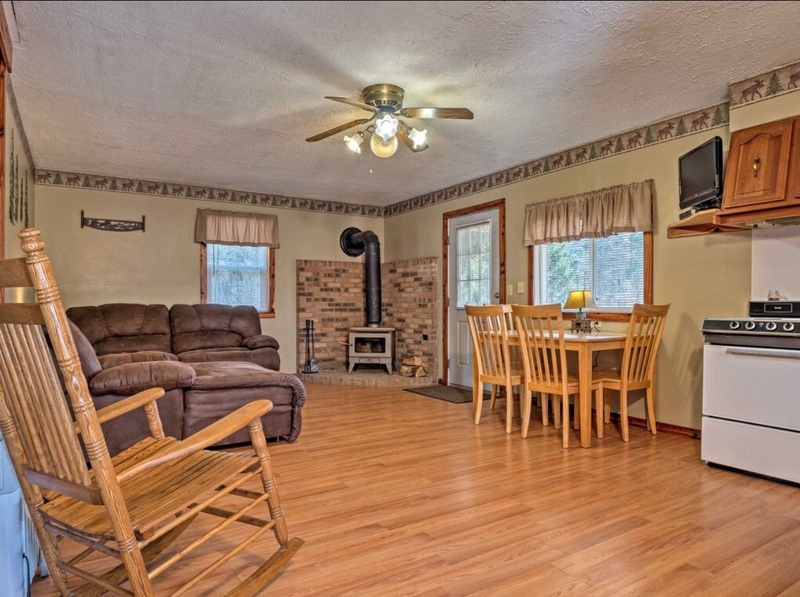 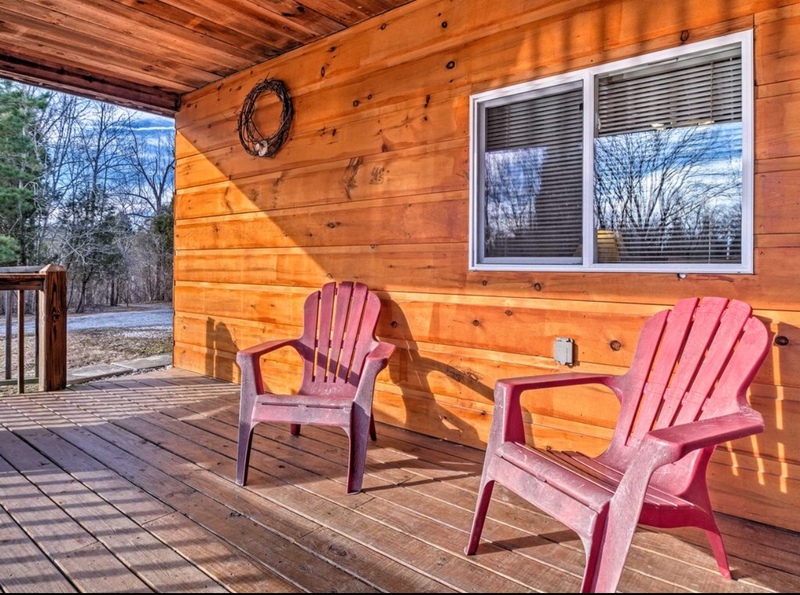 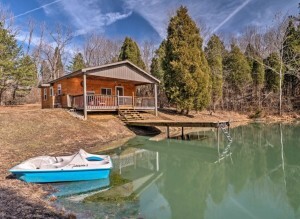 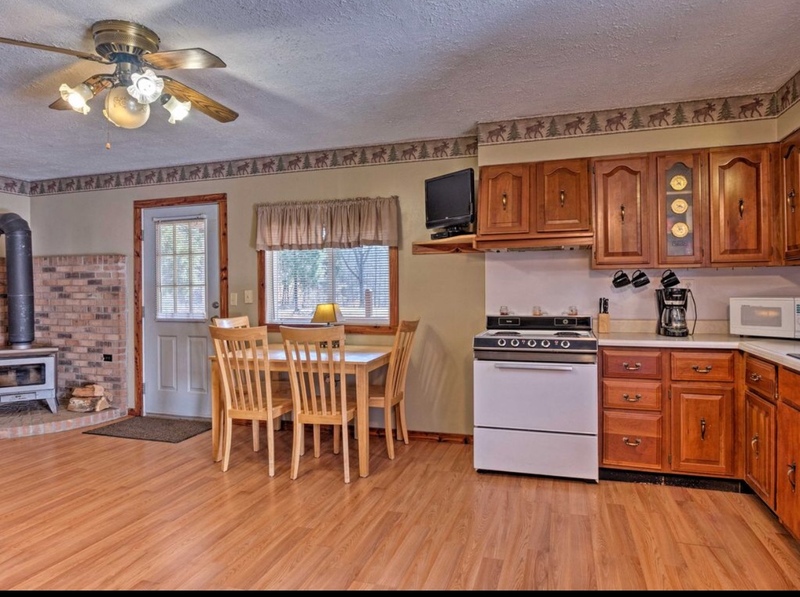 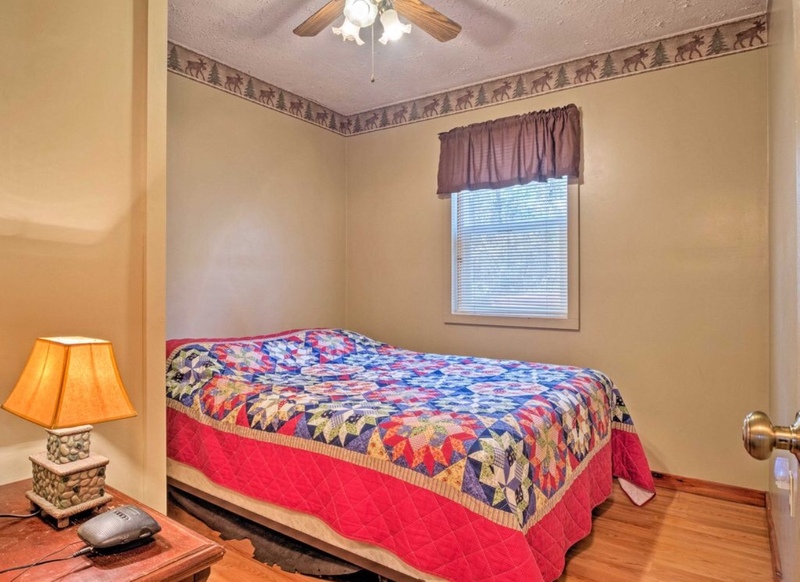 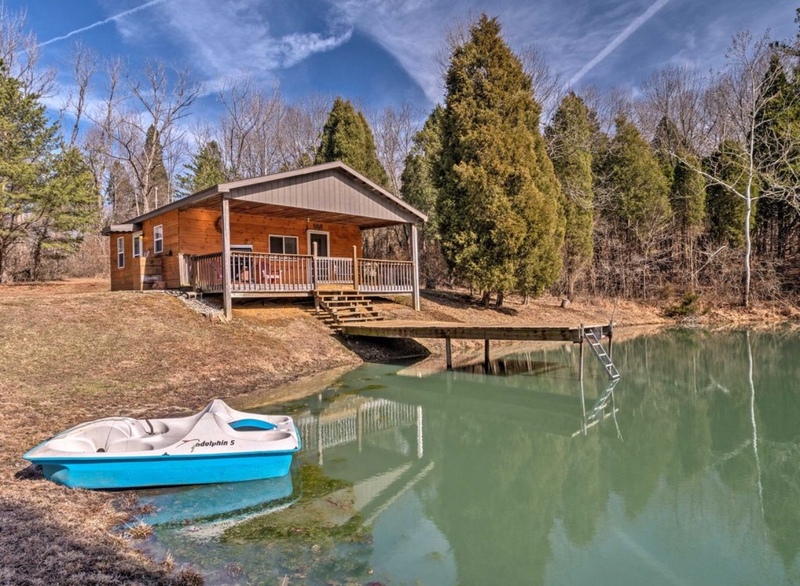 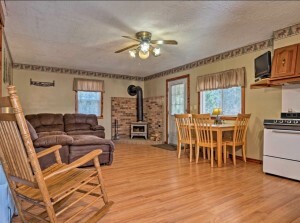 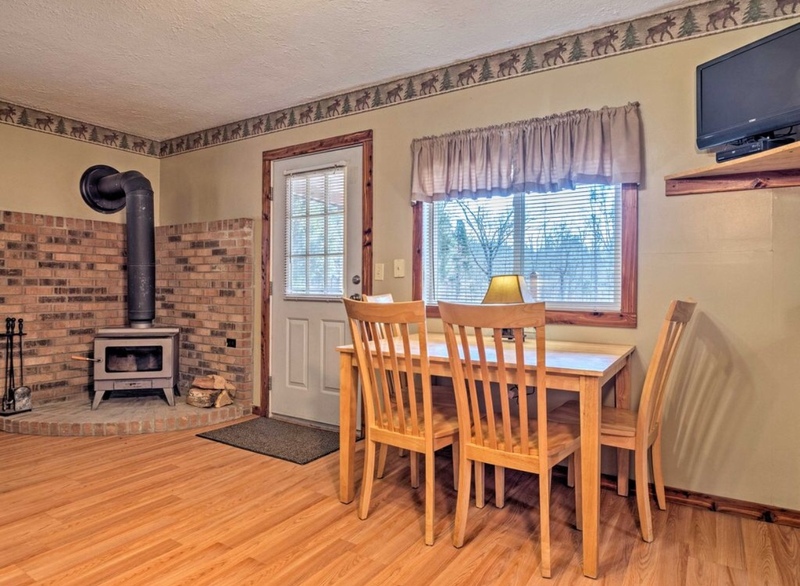 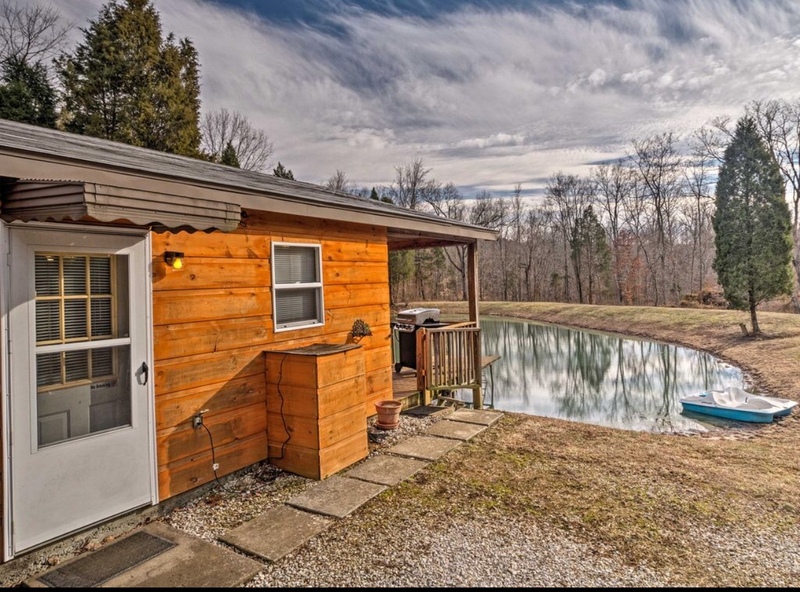 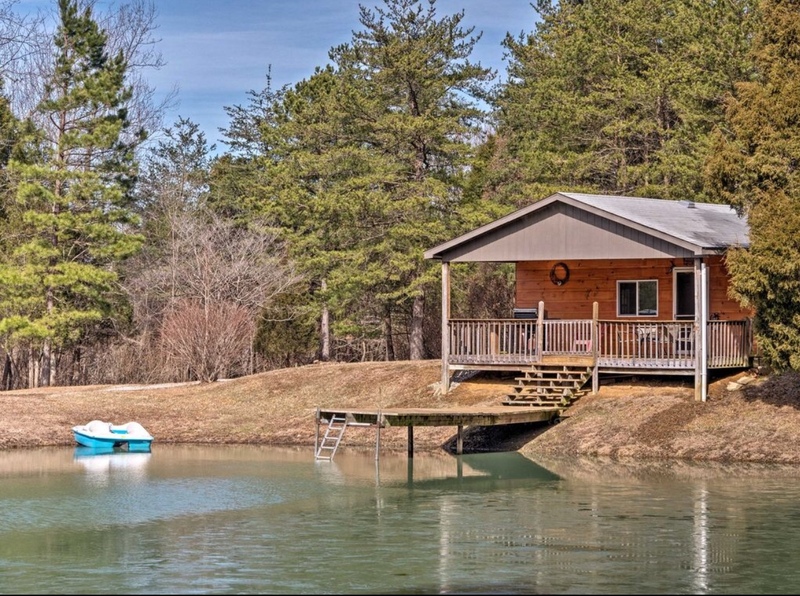 This cabin is a newly updated open concept living area with 2 bedrooms (1 queen and a 1 full) and 1 bath located one mile from the Ohio River at Derby, Indiana. 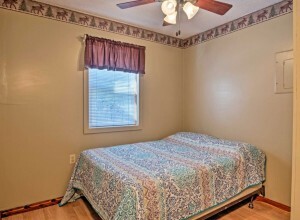 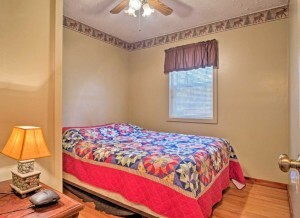 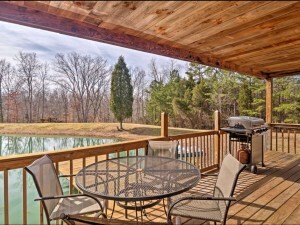 It is nestled on 68 acres in a very private park like setting. 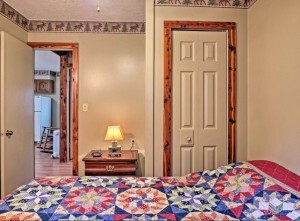 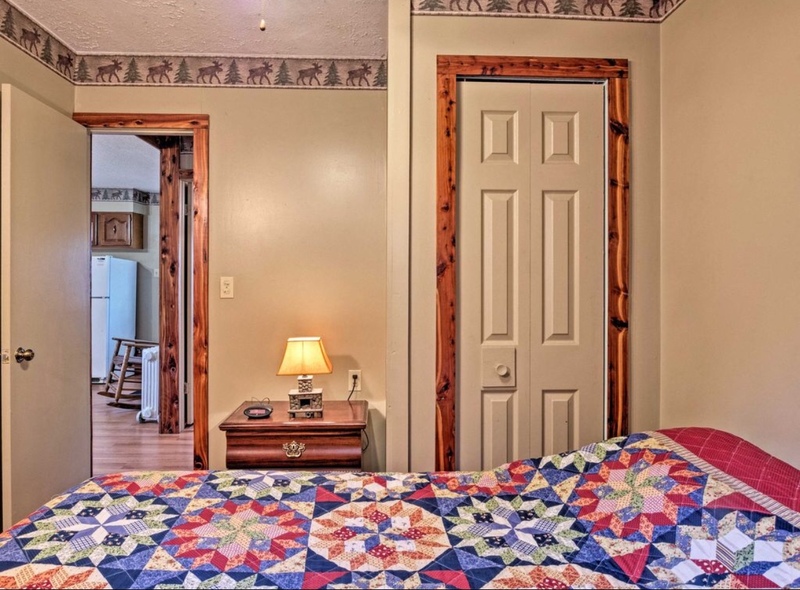 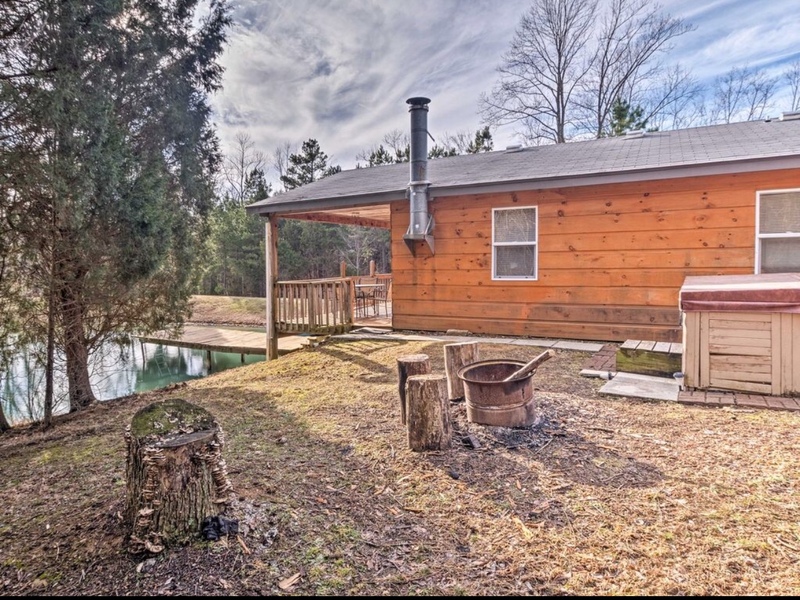 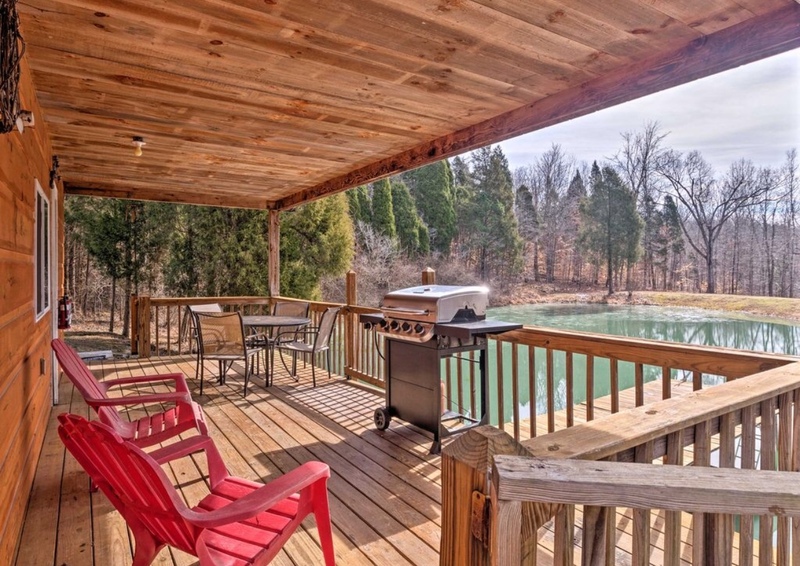 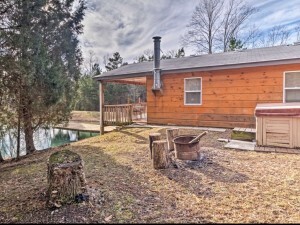 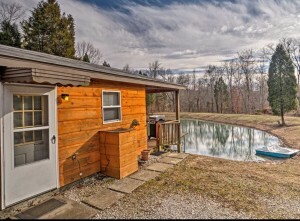 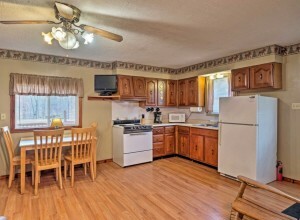 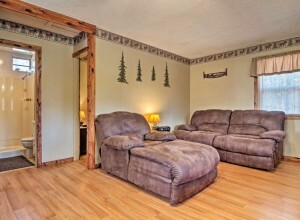 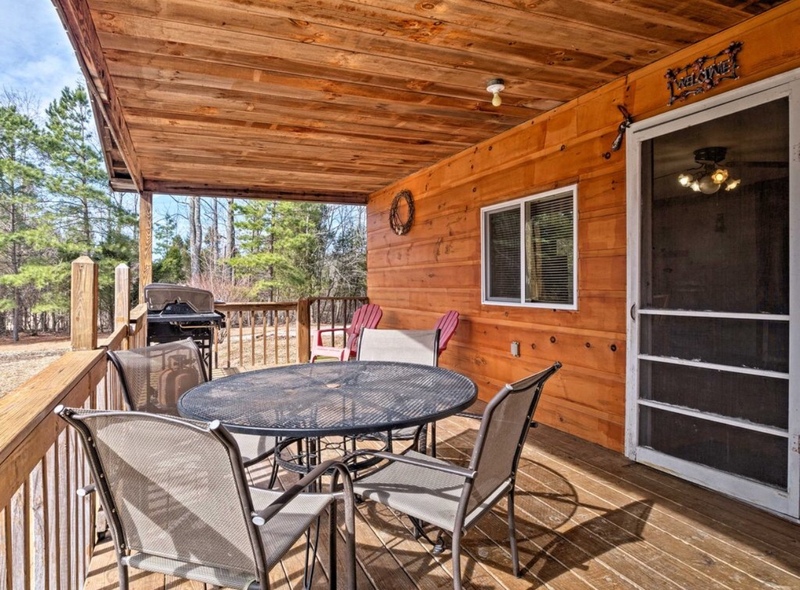 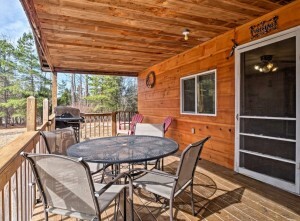 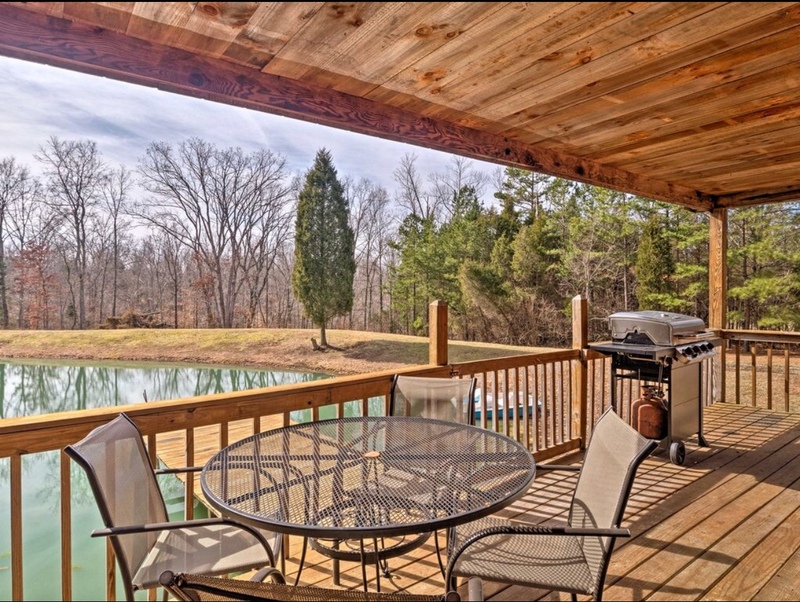 Enjoy the beauty overlooking the stocked pond and nature from the covered porch or the private hot tub. Hiking trails are on the property with a great chance to see the local wildlife. 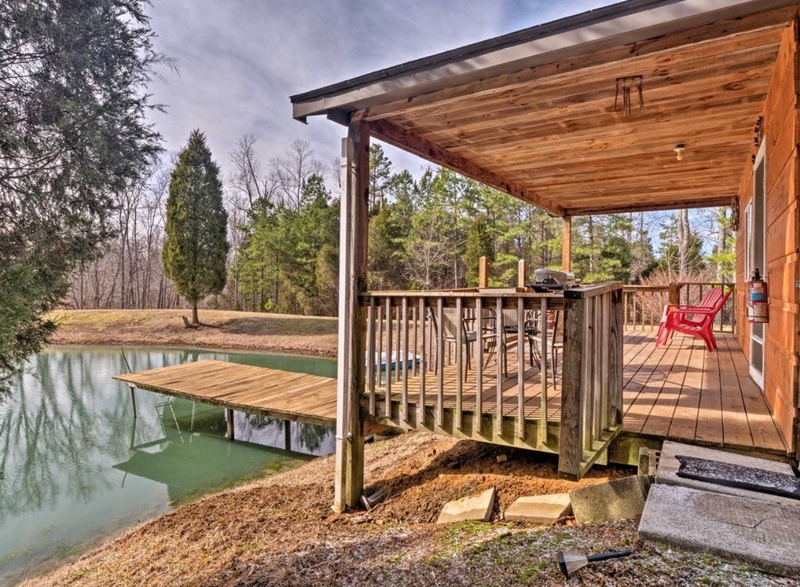 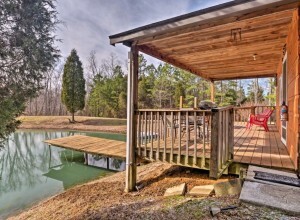 Or walk right down onto your dock from your deck to go fishing or swimming! 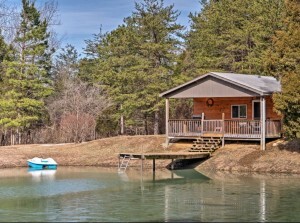 There is a paddle boat to enjoy the pond as well as a fire ring for roasting marshmallows.